An office space can be viewed as a validation of a company’s success and growth. In an office setting, it’s a lot easier to monitor employees and their work every day, while meetings with potential partners can also be done in the company’s own space for a personalized feel. Office location is also essential. You want to be in an area that will benefit your business, partners, customers, and employees. You wouldn’t want to set up in a place where you know the company won’t thrive. For a time, Makati Central Business District (CBD) was the go-to location for companies, both locally- and internationally-based. And while many other CBDs have sprung up over the years, Makati continues to prosper and is even getting regular upgrades to accommodate its ever-growing corporate population. The Makati CBD was developed around 1960, including the construction of Ayala Avenue. The town that once contained a small airport became a cosmopolitan hub over time. Corporate buildings were constructed, and soon, different businesses opened. Both start-ups and large companies choose to start out in this city for different reasons, but mainly because it’s a very progressive location that is open to diversity and different facets of life—not just employment—like culture, entertainment, food, retail, technology, arts, and a lot more. In 2015, Makati recorded P14 billion in revenue, half of which came from business tax. The good news is, despite competition from other business districts, it is still able to reach the revenue target each year. As early as October 2017, Makati already surpassed its P14.5 billion revenue target for the year, with earnings of around P15.5 billion. Business tax was again the most significant factor, with collections of up to P8.2 billion. Many of the buildings and skyscrapers in the CBD are filled with offices. And being a prime location, it’s no surprise that companies from different industries live within these structures, ranging from telecommunications and finance to creative agencies and e-commerce. Another industry that has enjoyed success in this city is Business Process Outsourcing (BPO). As of 2015, there are 274 BPO offices in Makati. IT-readiness is cited as one of the reasons why BPOs choose to have offices in this city. While medium-to-large companies get to enjoy their own huge workplace, small businesses, start-ups, and freelance workers also get to work in Makati thanks to the emergence of coworking space in Metro Manila. According to Business Permits and Licensing Office (BPLO), there were 4,211 new businesses registered for 2015. Commercial and retail establishments and private companies earned an estimated Php1.1 trillion combined gross sales the same year, making Makati an excellent location for both conglomerates and start-ups. There are more than 2,000 local and international companies that made Makati CBD their home. Some of these names include PLDT, SGV, Intel, Microsoft, Syngenta, Shell, Convergys, and Accenture. Both local and multinational financial institutions choose to have head offices or branches in Makati CBD due to its long-running economic activity. There are around 472 banks in the city as of 2015—BDO, BPI, Security Bank, and RCBC have their headquarters here; while HSBC, Deutsche Bank, and Standard Chartered have branches. Because of its expat-friendly environment and facilities, Makati houses around 80 embassies and consulates, including Indonesian, Italian, Greek, Australian, Saudi Arabian, Korean, Uruguay, and Nepalese, to name a few. In addition, international governmental organizations and humanitarian institutions like the International Committee of the Red Cross and United Nations International Children’s Emergency Fund are in the city. The expansive shopping complex of Makati CBD will cater to everyone’s needs. Located just stone’s throw away from each other, Greenbelt, Landmark, Glorietta, and SM Makati have become a lifestyle and cultural hubs for locals and visitors alike, especially with the Ayala Museum just nearby. Makati employees work hard but party harder, and that’s why each street is brimming with restaurants and watering holes that are as awake as call center agents during their shift. Buses, trains, jeepneys, taxis, shuttle services—there are lots of ways to reach Makati CBD via public transportation, making it very accessible to both commuters and car owners, although the roads are almost always congested especially during rush hours. Traffic rules are strictly enforced—public transportations are only permitted to load and unload on specific areas. The district is also very walkable. People often opt to walk around to reach their destination. Makati has an extensive underground and elevated walkway structures, some of which are complete with escalators for easy access. Healthcare: Makati Medical Center is touted as one of the best healthcare facilities not just in the city. There are also a lot of clinics that accept different Health Maintenance Organization (HMO) for employees who have one. Make sure to secure these documents before going to Makati City Hall for a streamlined, hassle-free application. And, as always, bring lots of patience. Application form for Locational Clearance is available at the Zoning Division. The notarized form, along with other documents (DTI Business Name Certificate; SEC Articles of Partnership; or SEC Certificate of Incorporation, Barangay Clearance/Permit, ID and Authorization letter of the owner, Contract of Lease or Land Title/Tax Declaration, Sketch of Location, and Occupancy Permit) is required upon submission. An officer will assess and determine if your application is for processing or inspection. A processed application means that the locational clearance will be released after three working days, while those for inspection will be released after five working days. Once you have filled out and notarized your Business Registration form, go to the BPLO and submit the form along with other requirements (DTI Business Name Certificate; SEC Articles of Partnership; or SEC Certificate of Incorporation, Barangay Clearance/Permit, Locational Clearance, Public Liability Insurance, Community Tax Certificate/Cedula). An assessor from BPLO will process your application and assess how much is needed as a fee. Once assessed, give the application to a BPLO officer for validation. Submit both application and assessment to the receiving section of the BPLO; the BPLO staff will then give you a receiving copy. Payment can only be made the day after BPLO turns over the application to the cashier’s office. Once paid, go to the Releasing of Permits and hand over the paid applications and Fire and Sanitary permits. The Mayor’s/Business Permit will be given shortly after. There are a lot of factors that come in when deciding what space to choose or whether to rent or own a workplace. In 2016, office for rent in Makati can go at a rate of about P1,116 per sq m / month. While that may not sound like a lot, every centavo matters when planning out your organizational costs. Make a practical decision when paying off your office space. It should be reasonable and should not cause a dent in your company’s financial resources. There should be enough space to accommodate the number of employees, as well as the equipment you need inside the office. As much as possible, there should be an area available for every aspect of work (and recreation!) that employees need to do. No corporation wants to remain stagnant or go down the drain; so, when thinking of renting or buying out a workspace, consider company growth as well. If you’re planning to hire more people, make sure that they can have an area all for themselves. Business partners are necessary for your company growth, and the best way to gain their trust is to accommodate them with the utmost pleasure. Have an office that is always prepped to receive guests and choose to have one on a location that is the most accessible for them. Consider other details, as well, like parking space availability and security. Depending on your business, take into account these different office space options when selecting the type of workspace you’re going for. For start-ups with only a handful of employees, starting your company at home isn’t a crazy idea. 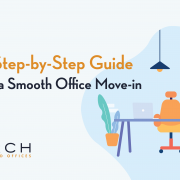 If you already have a condo or house in Makati, the only thing you’ll need to worry about is how to organize your home to fit your office needs. Remember, though, that you still need to apply for a business permit. A better but costlier alternative to working at home is getting a coworking space. Here, you can rent out facilities like Internet connection, working areas, conference rooms, and eating areas, among others. You’d also get to share a space with other businesses renting the location, and this may help grow your network. A virtual office is an unorthodox office environment, rented through a provider to offer address services without providing actual office space. One or more businesses can rent a single virtual space. This is ideal for start-ups or medium or large enterprises that want to avoid the complexities of getting a traditional office. Rental (or even purchase) is better for businesses that are expecting long-term returns. To save you from the hassle of setting up an internal facility management team, go for a serviced office type of space like those from Arch Serviced Offices. Their office and office building are run by its own facility management company, offering different companies their required workspace resources. 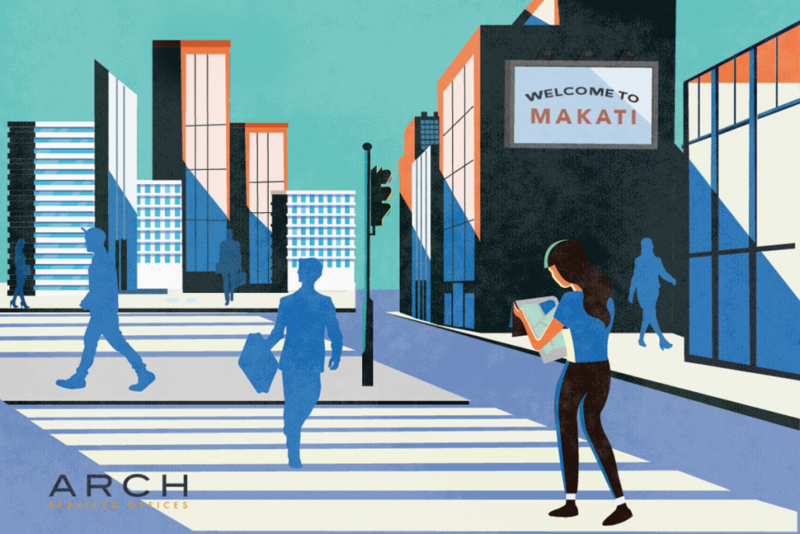 Despite many cities—in and out of Metro Manila—flourishing well to have a business district of their own, Makati is still special for many companies in the country. Those that found their footing in the city have grown and made their way to other places, while there are some that choose to remain and give back to the CBD.